Latin epigrammatist, born in one of the years AD 38 to 41, for, in book X of which the poems were composed in the years 95-98, he is found celebrating his fifty-seventh birthday. Our knowledge of his career is derived almost entirely from himself. Reference to public events enables us approximately to fix the date of the publication of the different books of epigrams, and from these dates to determine those of various important events in his life. The place of his birth was Bilbilis, officially Augusta Bilbilis, in Spain. His name seems to imply that he was born a Roman citizen, but he speaks of himself as "sprung from the Celts and Iberians, and a countryman of the Tagus"; and, in contrasting his own masculine appearance with that of an effeminate Greek, he draws especial attention to "his stiff Spanish hair." His parents, Fronto and Flaccilla, appear to have died in his youth. His home was evidently one of rude comfort and plenty, sufficiently in the country to afford him the amusements of hunting and fishing, which he often recalls with keen pleasure, and sufficiently near the town to afford him the companionship of many comrades, the few survivors of whom he looks forward to meeting again after his thirty-four year absence. The memories of this old home, and of other spots, the rough names and local associations which he delights to introduce into his verse, attest the enjoyment which he had in his early life, and were among the influences which kept his spirit alive in the routine of social life in Rome. But his Spanish home could impart, not only the vigorous vitality which was one condition of his success as a wit and poet, but the education which made him so accomplished a writer. The literary distinction obtained by the Senecas, by Lucan, by Quintilian, who belonged to a somewhat older generation, and by his friends and contemporaries, Licinianus of Bilbilis, Decianus of Emerita, and Canius of Gades, proves how eagerly the novel impulse of letters was received in Spain in the first century of the empire. The success of his countrymen may have been the motive which induced Martial to remove to Rome when he had completed his education. This he did in AD 64, one year before the fall of Seneca and Lucan, who were probably his earliest patrons. Of the details of his life for the first twenty years or so after he came to Rome we do not know much. He published some juvenile poems of which he thought very little in his maturer years, and he laughs at a foolish bookseller who would not allow them to die a natural death. Martial had neither youthful passion nor youthful enthusiasm to make him precociously a poet. His faculty ripened with experience and with the knowledge of that social life which was both his theme and his inspiration; and many of his best epigrams are among those written in his last years. From many answers which he makes to the remonstrances of friends -- among others to those of Quintilian -- it may be inferred that he was urged to practice at the bar, but that he preferred his own lazy Bohemian kind of life. He made many influential friends and patrons, and secured the favor both of Titus and Domitian. From them he obtained various privileges, among others the semestris tribunatus, which conferred on him equestrian rank. He failed, however, in his application to the latter for more substantial advantages, although he commemorates the glory of having been invited to dinner by him, and also the fact that he procured the privilege of citizenship for many persons in whose behalf he appealed to him. The earliest of his extant works, that known by the name of Liber spectaculorum, was first published at the opening of the Colosseum in the reign of Titus, and relates to the theatrical performances given by him; but the book as it now stands was given to the world in or about the first year of Domitian, i.e. about AD 81. The favor of the emperor procured him the countenance of some of the worst creatures at the imperial court -- among them of the notorious Crispinus, and probably of Paris, the supposed author of Juvenal's exile, for whose monument Martial afterwards wrote a eulogistic epitaph. The two books, numbered by editors XIII and XIV, and known by the names of Xenia and Apophoreta -- inscriptions in two lines each for presents -- were published at the Saturnalia of 84. In 86 he gave to the world the first two of the twelve books on which his reputation rests. From that time until his return to Spain in AD 98 he published a volume almost every year. The first nine books and the first edition of book X appeared in the reign of Domitian; and book XI at the end of AD 96, shortly after the accession of Nerva. A revised edition of book X, that which we now possess, appeared in AD 98, about the time of the entrance of Trajan into Rome. The last book was written after three years absence in Spain, shortly before his death, which happened about the year AD 102 or 103. These twelve books bring Martial's ordinary mode of life between the age of forty-five and sixty very fully before us. His regular home for thirty-five years was Rome. He lived at first up three pairs of stairs, and his "garret" overlooked the laurels in front of the portico of Agrippa. He had a small villa and unproductive farm near Nomentum, in the Sabine territory, to which he occasionally retired from the bores and noises of the city. In his later years he had also a small house on the Quirinal, near the temple of Quirinus. At the time when his third book was brought out he had retired for a short time to Cisalpine Gaul, in weariness, as he tells us, of his unremunerative attendance on the levees of the great. For a time he seems to have felt the charm of the new scenes which he visited, and in a later book he contemplates the prospect of retiring to the neighborhood of Aquileia and the Timavus. But the spell exercised over him by Rome and Roman society was too great; even the epigrams sent from Forum Corneli and the Aemilian Way ring much more of the Roman forum, and of the streets, baths, porticos and clubs of Rome, than of the places from which they are dated. So too his motive for his final departure from Rome in AD 98 was a weariness of the burdens imposed on him by his social position, and apparently the difficulties of meeting the ordinary expenses of living in the metropolis; and he looks forward to a return to the scenes familiar to his youth. The well-known epigram addressed to Juvenal (XII 18) shows that for a time his ideal was realized; but the more trustworthy evidence of the prose epistle prefixed to book XII proves that his contentment was of short duration, and that he could not live happily away from the literary and social pleasures of Rome. The one consolation of his exile was the society of a lady, Marcella, of whom he writes rather as if she were his patroness -- and it seems to have been a necessity of his being to have always a patron or patroness -- than his wife or mistress. During his life at Rome, although he never rose to a position of real independence, and had always a hard struggle with poverty, he seems to have known everybody, especially every one of any eminence at the bar or in literature. In addition to Lucan and Quintilian, he numbered among his friends or more intimate acquaintances Silius Italicus, Juvenal, the younger Pliny; and there were many others of high position whose society and patronage he enjoyed. The silence which he and Statius, although authors writing at the same time, having common friends and treating often of the same subjects, maintain in regard to one another may be explained by mutual dislike or want of sympathy. Martial in many places shows an undisguised contempt for the artificial kind of epic on which Statius's reputation chiefly rests; and it seems quite natural that the respectable author of the Thebaid and the Silvae should feel little admiration for either the life or the works of the Bohemian epigrammatist. Martial's faults are of the most glaring kind, and are exhibited without the least concealment. Living under perhaps the worst of the many bad emperors who ruled the world in the 1st century, he addresses him and his favorites with the most servile flattery in his lifetime, censures him immediately after his death, and offers incense at the shrine of his successor. He is not ashamed to be dependent on his wealthy friends and patrons for gifts of money, for his dinner, and even for his dress. We cannot feel sure that even what seem his sincerest tributes of regard may not be prompted by the hope of payment. Further, there are in every book epigrams which cannot be read with any other feelings than those of extreme distaste. These faults are so unmistakable and undeniable that many have formed their whole estimate of Martial from them, and have declined to make any further acquaintance with him. Even those who greatly admire his genius, and find the freshest interest in his representation of Roman life and his sketches of manners and character, do not attempt to palliate his faults, though they may partially account for them by reference to the morals of his age and the circumstances of his life. The age was one when literature had either to be silent or to be servile. Martial was essentially a man of letters: he was bound either to gain favor by his writings or to starve. Even Statius, whose writings are in other respects irreproachable, is nearly as fulsome in his adulation. The relation of client to patron had been recognized as an honorable one by the best Roman traditions. No blame had attached to Virgil or Horace on account of the favors which they received from Augustus and Maecenas, or of the return which they made for these favors in their verse. That old honorable relationship had, however, greatly changed between Augustus and Domitian. Men of good birth and education, and sometimes even of high official position, accepted the dole (sportula). Martial was merely following a general fashion in paying his court to "a lord", and he made the best of the custom. In his earlier career he used to accompany his patrons to their villas at Baiae or Tibur, and to attend their morning levees. Later on he went to his own small country house, near Nomentum, and sent a poem, or a small volume of his poems, as his representative at the early visit. The fault of grossness Martial shares with nearly all ancient and many modern writers who treat of life from the baser or more ridiculous side. That he offends more than perhaps any of them is not, apparently, to be explained on the ground that he had to amuse a peculiarly corrupt public. Although there is the most cynical effrontery and want of self-respect in Martial's use of language, there is not much trace of the satyr in him -- much less, many readers will think, than in Juvenal. It remains to ask, what were those qualities of nature and intellect which enable us to read his best work -- even the great body of his work -- with the freshest sense of pleasure in the present day? He had the keenest capacity for enjoyment, the keenest curiosity and power of observation. He had also a very just discernment. It is rare to find any one endowed with so quick a perception of the ridiculous who is so little of a caricaturist. He was himself singularly free from cant, pedantry or affectation of any kind. Though tolerant of most vices, he had a hearty scorn of hypocrisy. There are few better satirists of social and literary pretenders in ancient or modern times. Living in a very artificial age, he was quite natural, hating pomp and show, and desiring to secure in life only what really gave him pleasure. To live one's own life heartily from day to day without looking before or after, and to be one's self without trying to be that for which nature did not intend him, is the sum of his philosophy. Further, while tolerant of much that is bad and base -- the characters of Crispinus and Regulus, for instance -- he shows himself genuinely grateful for kindness and appreciative of excellence. He has no bitterness, malice or envy in his composition. He professes to avoid personalities in his satire; "Ludimus innocui" is the character he claims for it. 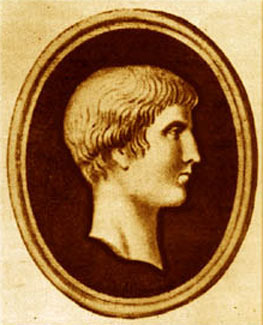 Pliny, in the short tribute which he pays to him on hearing of his death, says, "He had as much good-nature as wit and pungency in his writings " (Ep. III 21). Honor and sincerity (fides and simplicitas) are the qualities which he most admires in his friends. Though many of his epigrams indicate a cynical disbelief in the character of women, yet others prove that he could respect and almost reverence a refined and courteous lady. His own life in Rome afforded him no experience of domestic virtue; but his epigrams show that, even in the age which is known to modern readers chiefly from the Satires of Juvenal, virtue was recognized as the purest source of happiness. The tenderest element in Martial's nature seems, however, to have been his affection for children and for his dependents. The permanent literary interest of Martial's epigrams arises not so much from their verbal brilliancy, though in this they are unsurpassed, as from the amount of human life and character which they contain. He, better than any other writer, enables us to revive the outward spectacle of the imperial Rome. If Juvenal enforces the lesson of that time, and has penetrated more deeply into the heart of society, Martial has sketched its external aspect with a much fairer pencil and from a much more intimate contact with it. Martial was to Rome in the decay of its ancient virtue and patriotism what Menander was to Athens in its decline. They were both men of cosmopolitan rather than of a national type, and had a closer affinity to the life of Paris or London in the 18th century than to that of Rome in the days of the Scipios or of Athens in the age of Pericles. The form of epigram was fitted to the critical temper of Rome as the comedy of manners was fitted to the dramatic genius of Greece. Martial professes to be of the school of Catullus, Pedo, and Marsus, and admits his inferiority only to the first. But, though he is a poet of a less pure and genuine inspiration he is a greater epigrammatist even than his master. Indeed the epigram bears to this day the form impressed upon it by his unrivalled skill.